At Static Plumbing we pride ourselves not only on the final results but on the journey and relationships we build with our customers whether it be a small or big job. We are a friendly personal team associated with quality workmanship. Advanced Plumbing & Gas, Brisbane’s plumbing industry professionals. Is your tap or toilet leaking? Hot water system need repairing or replacement? Have a gas plumbing emergency? From blocked drains to bathroom renovations, Advanced Plumbing & Gas are your one-stop professional plumbers and gasfitters in Brisbane. Our extensive experience in the plumbing and gas industry means the full spectrum of services can be delivered by our friendly and reliable tradespeople. This dedication to tailored, trustworthy customer service is based on our passion for the industry – backed by honest up-front pricing. We can provide fast responses to plumbing emergencies for Brisbane northside and inner Brisbane suburbs including Chermside, Everton Park, Mitchelton, Alderley, Newmarket and Fortitude Valley. At Advanced Plumbing & Gas, keeping your lives simple and easy with customer focused, high quality plumbing services is what we believe in above all else. Call us day or night on 0434 270 366 for a friendly chat with your trusted local Brisbane plumbers. We are family owned and operated Plumbing Company with over 40 years experience. Our broad range of services assist clients in both residential and small commercial work. The Gap Plumbing Service is a family operated plumbing and kitchen, bathroom and laundry renovation specialists servicing the North-West suburbs of Brisbane. We employ three plumbers, drainers, gas-fitters and one builder, complemented by our network of professional trade contractors for all other trades required for renovation works. One of Australia’s most long-standing and trusted homeware brands, Raymor is the preferred choice for plumbers, builders, architects and homeowners alike. During its 67 year history Raymor has built a reputation for innovation, quality and design excellence. From sleek, smooth lines to contemporary class, Raymor is proud to have played a leading role in creating the character of Australian bathrooms, kitchens and laundries. We have stood strong in our beliefs of elegant design, fine engineering, low maintenance and outstanding value to deliver more reliability, quality and style. Raymor products are available exclusively to Tradelink Plumbing Centres and Northern's Plumbing Supplies. 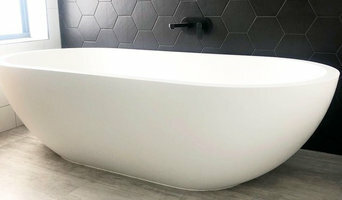 Mint Plumbing Services Qld Pty Ltd was established in 2005 and has been a major supplier of plumbing services to both domestic and commercial customers for over 13 years. We are a family owned & operated. 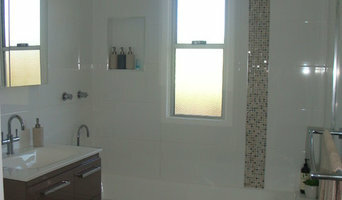 Director Michael Ratcliffe has been a qualified Plumber & Drainer for over 17 years with experience in all aspects of Plumbing & Drainage.Mint Plumbing Services Qld Pty Ltd is (QBCC) Queensland Building & Construction Commission Registered Contractor, has fully licenced Plumbing & Gas fitters. LGF Plumbing & Gas can assist you with all your plumbing requirements from the smallest of jobs like the leaking tap all the way through to the new bathroom renovation. We can also provide all of your gas service solutions, from gas appliance installation and servicing, gas conversions LPG and natural gas, commercial kitchen equipment service installs and sales. We also provide gas certificates for caravans. Call us for a free, no obligation quote. All Plumbing and Gas Services is based in Labrador on the north side of the Gold Coast and services all areas. We deliver the highest quality workmanship, punctuality, cleanliness, reliability and above all, offer competitive prices. "From the roof to the ground for all your plumbing and gas services"
We serve the Logan area with professional plumbing and gas fitting services. Call us on 0425 256 663 for: • Blocked Drains • Water Efficiency • Leak Detection • CCTV Inspection • Burst Pipes • Gas Plumbing Services • Gas Appliances • Installation of Hot Water Systems • Supply and Installing Hot Water Systems • Repairs, Service, and Maintenance of Hot Water Systems • 24 Hour Emergency Plumbing Services We know it’s often at the most inconvenient times when you need to call a plumber or gas fitter and that is why we are on call 24/7. We have competitive prices and we don’t charge a call out fee. Waterstop Solutions (WS) is a highly renowned remedial waterproofing, leak sealing and concrete repair specialist business. WS provides expert experience in; customer service, joint sealing, safety coating installations, concrete repairs, waterproofing and ground improvement/stabilisation. Buildings can experience ingress of water from many external areas, including: around windows, porous substrates, expansion joints and movement cracks in walls and floors. WS has all the necessary skills to rectify these areas using a specialised waterproofing system. Our expert remedial waterproofing services include: Surface preparation Fall correction Waste installation Membranes — liquid and sheet Protective sealers and coatings Barrier coating systems Epoxy injection Polyurethane injection Acrylic injection Positive and negative side waterproofing Joint seal replacement Penetrating sealer treatments Ponds & fountains Green roof areas Planters and garden beds Podiums & balconies Retaining walls Roof tops Plant rooms Tiling Water leaks can emanate from an array of external and internal sources. Construction and expansion joints, movement cracks and pipe penetrations are just a few examples of situations where water can easily enter. Our expert remedial leak sealing Queensland services include: Polyurethane injection Acrylic injection Void filling Construction and expansion joints Positive and negative side waterproofing Porous substrates Cracks Pipe and service penetrations High and low flow leaking sealing Concrete pipe joints Manholes Basements Waterstop Solutions is an industry leader in concrete repair and protection of concrete structures. With access to the latest proven products we are able to produce high quality repairs in the following fields: Concrete Cancer Crack Repairs Joint repairs Void Injection and Grouting Cathodic Protection Protective Coatings At Waterstop Solutions, our mission is to become the best remedial waterproofing company in Australia. Our guarantee is 'Quality Service. Quality Solutions', and we know the key to achieving this is to ever-expand our knowledge, experience and expertise while developing trusted, supportive relationships with our partner suppliers and consultants. In this way, WS works to achieve the best results for our customers and for our own satisfaction. Visit our website for more information or give us a call as we're always happy to chat. Andrew and the team at On The Plumb offer a full range of plumbing services with extensive knowledge and experience in both residential and commercial new builds and renovations. With over 13 years’ experience in both plumbing and gas fitting Andrew has a wealth of valuable advice to offer to ensure a smooth process from start to finish. With fully equipped vehicles, service you can trust and a friendly, honest and helpful team On The Plumb is the right team for the job. Give Andrew a call today to discuss your next project. Since 1978 Brisbane businesses and residents have trusted our expertise and experience for their plumbing. We are equipped to take on small jobs around the home and heavy industrial jobs. • Blocked Drains • CCTV Pipe Inspections and Reports • Pipe Relining • Hot Water Systems • Water Efficiency Certificates • Leak Detection and Water Service Leaks • Leaking Taps and Toilets • Roof Leak Repairs • Backflow Valves / Thermostatic Mixing Valves • Gas Plumbing • Pre-purchase Property Inspections When you need a plumber, call 07 3736 3149 M-F 7:30am to 4:00pm. 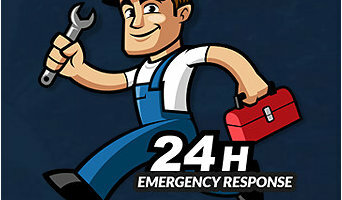 We’re also available for afterhours plumbing emergencies. We’ll get the job done right first time every time! Since 1978 Logan businesses and residents have trusted our expertise and experience for their plumbing. We are equipped to take on small jobs around the home and heavy industrial jobs. • Blocked Drains • CCTV Pipe Inspections and Reports • Pipe Relining • Hot Water Systems • Water Efficiency Certificates • Leak Detection and Water Service Leaks • Leaking Taps and Toilets • Roof Leak Repairs • Backflow Valves / Thermostatic Mixing Valves • Gas Plumbing • Pre-purchase Property Inspections When you need a plumber, call 07 3444 8639 M-F 7:30am to 4:00pm. We’re also available for afterhours plumbing emergencies. We’ll get the job done right first time every time! With a lot of plumbing work done behind walls and underneath floors, some Slacks Creek, Queensland plumbers will also repair or replace tile, stonework or other surfaces, if need be. You’ll find most Slacks Creek, Queensland plumbers provide a variety of services, including maintenance and construction, covering gas, solar and electric. However, some will have areas of expertise. A 24-hour plumber, for instance, will be well versed in residential emergencies and repairs, while others may be more experienced in renovations and new homes, or the installation of septic systems, rainwater tanks, pumps and other special water and drainage systems. 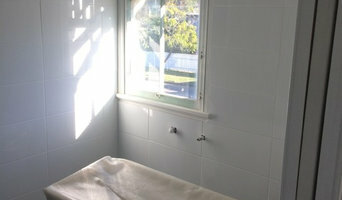 Find Slacks Creek, Queensland plumbers on Houzz. A leaking toilet or blocked drain can do more than just water damage, so never wait too long to call a local plumber. Start your search on Houzz by browsing the Professionals section of the site. If you're undergoing a renovation or home construction, you may also look through Photos to find local plumbers who have worked on projects similar to yours. If you’re planning a large-scale project, find other professionals on Houzz who can help get the job done. Here are some related professionals and vendors to complement the work of plumbers: Building Project Managers, Septic Tanks & Sewage Systems, Kitchen & Bathroom Designers, Kitchen & Bath Renovators.